Insider activity provides a sneak peek to the future prospects of the company as this activity is based on the transactions made by executives and directors having exclusive and direct information about the company’s future. Insider buying is deemed as a positive sign, and investors pay attention to a stock that is loaded up on by insiders. In this article we will talk about stocks which have shown a high number of insider purchases recently, and are also liked by hedge funds. We will use our database of about 742 elite hedge funds. Hedge fund sentiment is an important metric for assessing long-term profitability. At Insider Monkey, we track over 700 hedge funds, whose quarterly 13F filings we analyze to determine their collective sentiment towards several thousand stocks. However, our research has shown that the best strategy is to follow hedge funds into their small-cap picks. 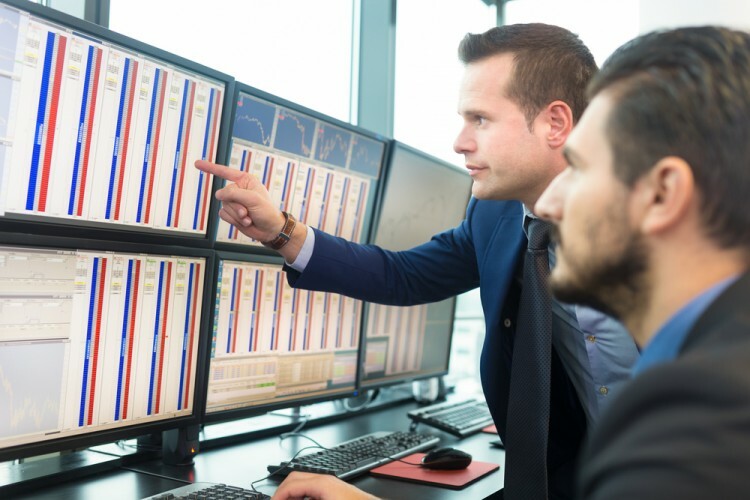 This approach can allow monthly returns of nearly 95 basis points above the market, as we determined through extensive backtests covering the period between 1999 and 2012 (read more details here). A total of 9 hedge funds tracked by Insider Money were long Lands’ End, Inc. (NASDAQ:LE), as of the end of the third quarter, compared to 10 funds a quarter earlier. These funds own a massive 31% of the company’s total float as a whole. There has been a lot of insider purchasing reported for Lands’ End, Inc. (NASDAQ:LE). Edward Lampert went on a buying spee and purchased thousands of shares in several transactions in October. The shareholder has 12.59 million shares of the company. Several company directors also purchased Lands’ End shares in October and September. Bruce Berkowitz’s Fairholme owns 3.35 million shares of the company as of the end of the third quarter. Follow Lands' End Inc.Follow Lands' End Inc.
A total of 15 hedge funds tracked by Insider Monkey own $87.09 million worth of Beazer Homes USA, Inc. (NYSE:BZH) shares, as of the end of the third quarter. This accounts for about 22.9% of the company’s float. A total of 203,499 shares have been purchased in insider trading at Beazer Homes USA, Inc. (NYSE:BZH). No insider selling was reported in the last three months. The stock is up over 15.7% year-to-date. The Atlanta, Georgia-based company reported fourth quarter loss of $0.03 a share, worse than the estimate of earnings of $0.67 per share, while $632.1 million revenue also fell short of the consensus estimate of $637.02 million. Chuck Royce’s Royce & Associates owned 1.36 million shares of Beazer Homes USA, Inc. (NYSE:BZH), as of the end of the third quarter. On the next page, we will see some other stocks that are amassed by insiders and hedge funds alike. Should You Buy BJ’s Restaurants, Inc. (BJRI)? Infosys Ltd ADR (INFY): Are Hedge Funds Right About This Stock? Has Hedge Fund Ownership in Welltower Inc. (HCN) Finally Bottomed Out? How Big Lots, Inc. (BIG) Stacks Up To Its Peers Biotech Movers: Heat Biologics Inc (HTBX) And Achaogen Inc (AKAO) Is WebMD Health Corp. (WBMD) A Good Stock To Buy?